Premier college was established in 2000 AD. It is an ISO certified college by BM Trada, Uk Premier. The college provides Bachelor program and Master program. There is Charted Accountant course also. The graduate and under-graduate programs are held under the Tribhuwan University. Premier college is located at New Baneshwor in Kathamandu. The vision of the college is to get international ranking in the world. The mission of Premier college is to create leaders and manpower for the world. The college educates and trains the students in professional and competitive environment. More than 1800 students are enrolled in different program provided by the college. Since the college is established, college has produced more than 10,000 graduates. The college time table is different according to program. Morning and Day shift are available in this college. Premier College has provided Bachelor program on Management and Arts faculty. Bachelor of Business studies is only the course which is available in this college. The course is of Four years which has been recently modified by TU. Both Bachelor and Master program for Business studies is available for management students. BASW is the only the course available for the Arts faculty. These courses are based on TU. Premier college has provided an intermediate education for SLC passed out students. Science, Management and Arts are the three stream that student can choose. The college has provided CA course with theoretical and practical training. Are you willing to become a successful business persona? Premier College grants you a golden opportunity to study the most popular program in the field of management i.e Bachelor of Business Studies. Read more informations about BBS and why to join Premier College. If you are among the people who are interested in social work, then Bachelor of Social Work (BSW) will help you to accentuate the art of social service in you and qualify you for acquiring proficiency in this area. Here, you can learn more about BSW and why to join Premier College. 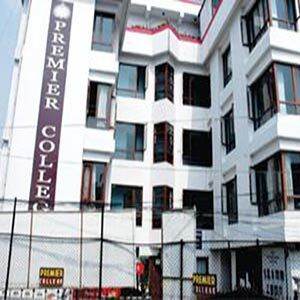 Premier college has provided different extra curriculum activities like Football, Basketball, Cricket and Table Tennis. College has provided national level coach. That is why Premier college has won many trophies and ranks in both boys and girls tournament.